"Thank Goodness a colleague referred you." "Our server Crashed! Our old IT guy couldn't figure it out. Thank Goodness a colleague referred you." "Our new website looks awesome!" "Our new website looks awesome! We also did a SEO + Marketing Package, now our website is at the top of google and bringing in new customers. Thank you!" "You guys rock! Dropped off my computer Monday and Picked it up Tuesday. Everything was running great!" "They monitor our network 24/7." "SuperTech 360 resolved our problems and made everything faster, now they monitor our network 24/7." "Remote Support is the BEST!" "Remote Support is the BEST! All I had to do was connect you to my work computer. You guys did all the work remotely and fixed my computer so I could get back to work quickly. Thanks for your help ;-)"
"Redesigned our old website. Now we're at the top of google!" "Our old website was so out dated and didn't really get us many customers. SuperTech 360 redesigned our old website and now it looks modern and new. They used Facebook ads and SEO to get us more website traffic. Now we're at the top of google! " "Easy solutions for our small business problems." "You and your team were able to provide easy solutions for our small business problems. We have never worked so efficiently." "Supertech 360 recovered our server data." - Frank Kulick, Get It Right Tape Co.
"Supertech 360 recovered our server data when the hard drives failed. We could not have survived without the years of saved files and data. I'm very grateful." "Jason and Collin have been taking care of our business for 6 years." "Jason and Collin have been taking care of our business for 6 years. Before that we didn't even have a server to share data. Now we have a complete sales system to run our business." "These computers and our network have never run better."" "We bought new computers and a server, plus had some existing computers repaired. The install only took a day and they worked around our work schedule. These computers and our network have never run better." "These guys had no problem providing the support I needed." "I have a complicated setup for my Tax Business. These guys had no problem providing the support I needed." "Complete IT Support. Exceeded our expectations." "These guys provided complete IT Support for us. They supplied our computers and maintained them with endpoint security and backups. They also built our website with hosted email and a forum that exceeded our expectations." "SuperTech 360 Eliminated server downtime." "We can't afford to be down without our server working. SuperTech 360 Eliminated downtime with a redundant server. I can rest easy now." No matter whether you have one computer that won't boot, or have dozens of business computers running slow, SuperTech 360 can repair them to Better-Than-New condition. 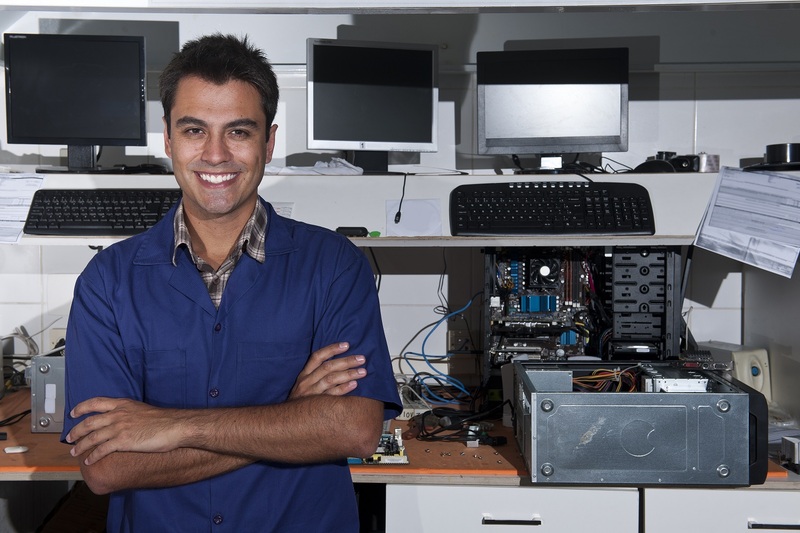 We offer On-Site repair as well as in shop repair services. With 10 years of repair experience and a shop capable of repairing 16 computer at the same time, you can rest assured your system and data are in safe hands. Get a team of IT Experts without the cost of full-time employees. We offer instant remote support, preventive maintenance & updates, proactive 24/7 monitoring, and managed service contracts. When it is time to buy new hardware & systems, we can help you in a smooth transition through selecting, installing, and supporting the technology products that are right for you.